Club member Chung Hau took centre stage with a presentation on Lighting. It was a presentation on 'An Introduction to Lighting'. 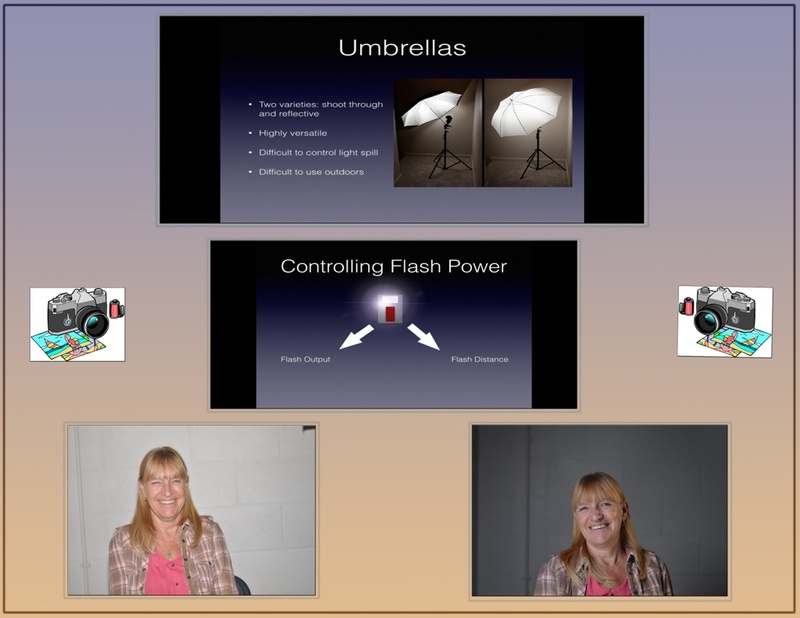 The first half was theory based and went through things like flash exposure, equipment, the interaction between the flash the camera and modifiers. Above you will see a couple of images to show this. The second half we did a live demonstration on putting theory into practice. There are two pics of Pauline - one at the start of the session and one at the end. The evening was a great success and members who were unable to attend look forward to a repeat performance.